I got lost. I was running with a bunch of other runners, I had a map in my hand. 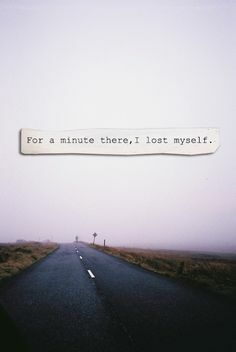 But I got lost. 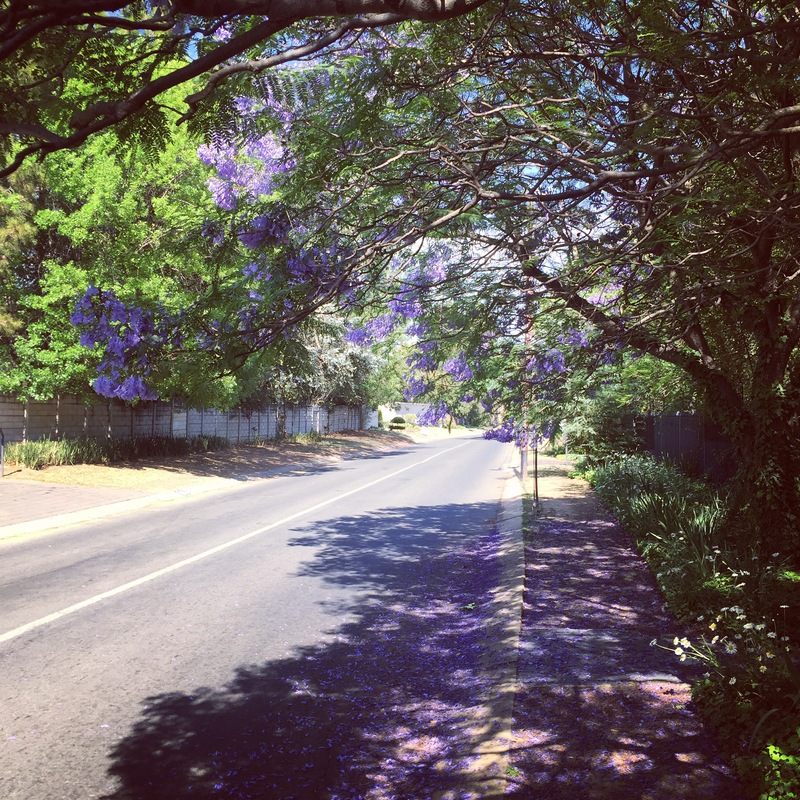 What started as a relaxed, peaceful run turned ugly but it has made me reflect on my attitude these past few weeks. When my running friend informed me that she would not be able to run, I still decided to head out with the rest of the running group, knowing full well that they were all way faster than me and would most probably run off after the first km. I still thought I was fine. Map in hand. Off I went. It was when I got passed 7.5kms that I started to worry. Where was the turnaround point? Was the map right? Why was I stuck on such a busy main street? Where were the other runners? I couldn’t see any of them so I decided I’d better head back the same way I’d come. But somehow, I got it wrong. I took a wrong turn and landed up in the dodgiest of streets. My gut told me things weren’t right. I suddenly felt scared, alone and incredibly vulnerable. All I wanted to do was cry. I started to blame others; the faster runners for not waiting, KK for not being with me; my gammy knee which had started to ache; pretty much everyone got a swearing. But most of all I blamed myself. I hated that I found myself in that helpless situation. I hated the fact that I ran so slowly and couldn’t keep up with anyone else. I hated running and I had no idea where I was going. It’s been two weeks since the incident and I’ve spent lots of time reflecting on that day. A lot of what I went through feels so familiar to how I’m feeling at the moment. I’m lost. I don’t know if it’s just the end of the year fatigue setting in, but I’m not myself. It feels as if I’m still out there on those streets with my body filled with anguish and confusion. It feels as if nothing is familiar. 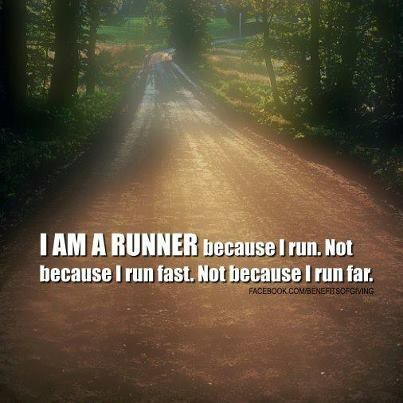 The more I run, the less I see. The faster I go, the further everything feels. I’m not myself and my map is not helping me. I’m blaming everyone else for my lose of direction. I’m irritated with everyone, including myself. I’ve lost sight of the goal. I’m lost. I need to find my passion again and I’m glad I’ve stopped to realise it now before it’s too late. Instead of blaming and allowing the situation to overwhelm me, I need to take back control. I took this beautiful pic on my long run on Sunday, a week after I got lost. I stopped to appreciate things along the way. This past Sunday I went out for a long run. Compared to the previous week, my head was right. I was prepared. I loved my run. Every single minute of it. As a runner, I’ve only hit the wall once. It was during my very first half marathon road race. Clearly unprepared, I was approximately 5kms from the finish line when it hit. My legs stopped and would go no further. As much as I tried to push myself to move on, I couldn’t. It felt like my brain would not connect with my body. I was screaming inside to take just one step, but my legs were paralyzed. They felt like concrete and soon my head was full of negative thoughts of quitting. The past couple of weeks at work have felt pretty much the same. I’ve hit the wall. I know what needs to be done and can picture it in my head but no matter how I try to convince others to go on that journey with me, they won’t budge. There’s a disconnect. It feels like I’m talking but no one is listening. I’m going at 120 miles an hour and they’re stopped at the traffic light. By the end of last week, I realized I had hit the wall. The frustration had set in and I did not know where to turn. I know I’m not the only one who has experienced this. We’re often not all on the same path when it comes to work. With running, the only way to recover is to re-fuel. Water, energy drinks, a banana, whatever it is you can get hold of. But you never stop. I had forgotten this. I know I need to refocus and set my eyes back on the goal – the finish line. Ironically, this is what two people told me to do. The words one of them used were, ‘Baby steps Bron, baby steps. 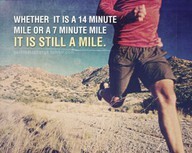 Just keep at it’. I’ve gone on to run so many half marathons since that first race and yet looking back now, Johnson Crane will always be one of my favorite races. Even though I hit the wall, I still went on to finish the race. Of course it was difficult. But was it worth it? Hell yes! After 6 months of hard training, you’d think that this week would be one of rest, relaxation and gearing the mind mentally to tackle 89kms of running. But instead, it’s been a very bad week where we’ve both been stressed out, niggly, irritated with one another and not resting at all. I’m shattered and feel as if I’m the one that has already run the race. Then at work, I somehow damaged my laptop by sandwiching my pen in between the screen and keyboard leaving it bruised and broken. I’ve been given a loan laptop but all my ‘stuff’ is on the old one. Frustrating. Catching up on our favourite shows was a nightmare as our Apple TV would not work. We hardly ever have buffering but this week, we haven’t been that lucky. I’m tired. I’m weepy. I cannot wait to get away from it all. I need a break. Heading down to Durban is just what we need! From this moment on, I plan to switch off and focus entirely on the vision of seeing KK cross that finish line. Comrades, here we come!